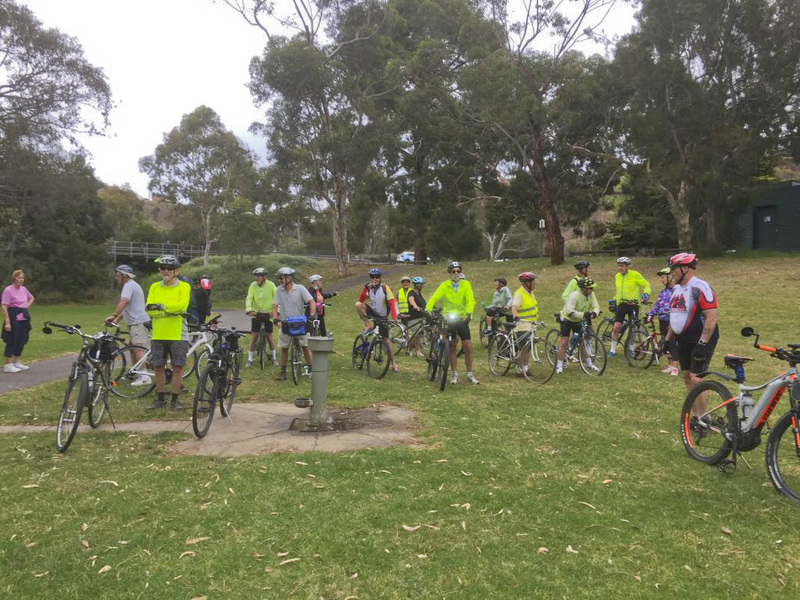 David led 11 enthusiastic cyclists on a cool and rainy circuit of the Barwon River. 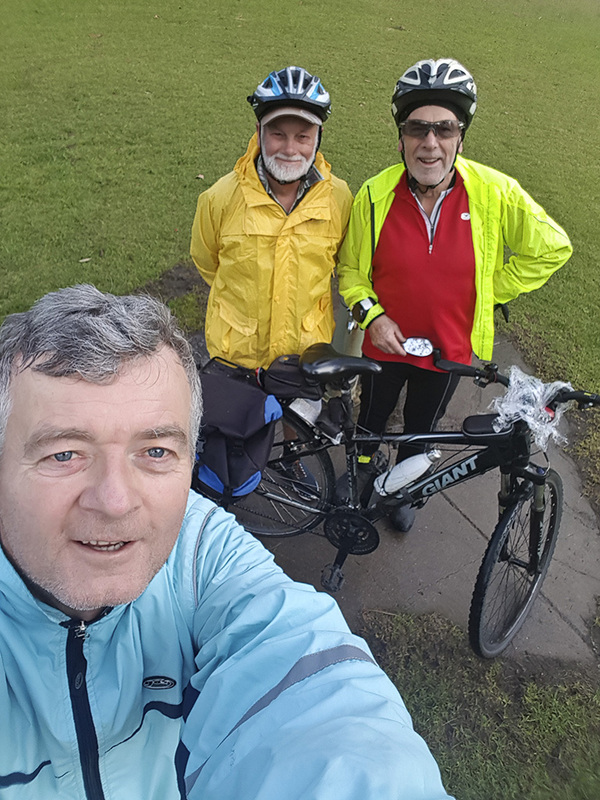 Unlike last week, when ride leader Herman grew so hot that his sizzling bike had to be doused by our trusty CFA officer, Geoff, it was rain jackets all round. 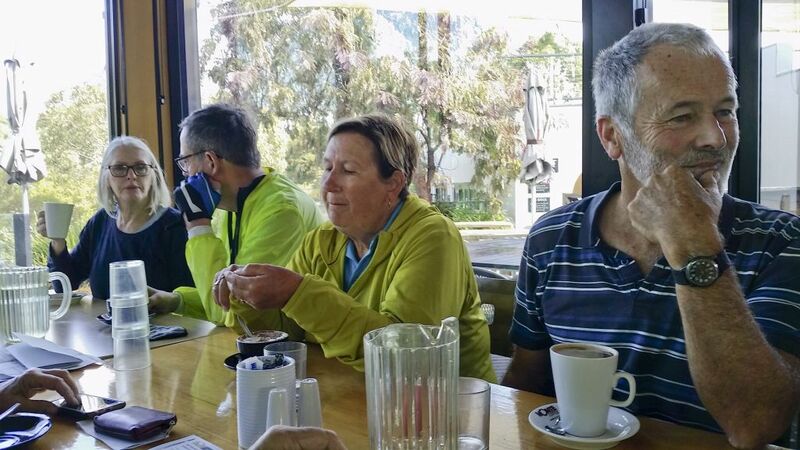 A couple of non-cyclists (Gavan and Heather and her granddaughter) joined the group for coffee at the Barwon Edge. 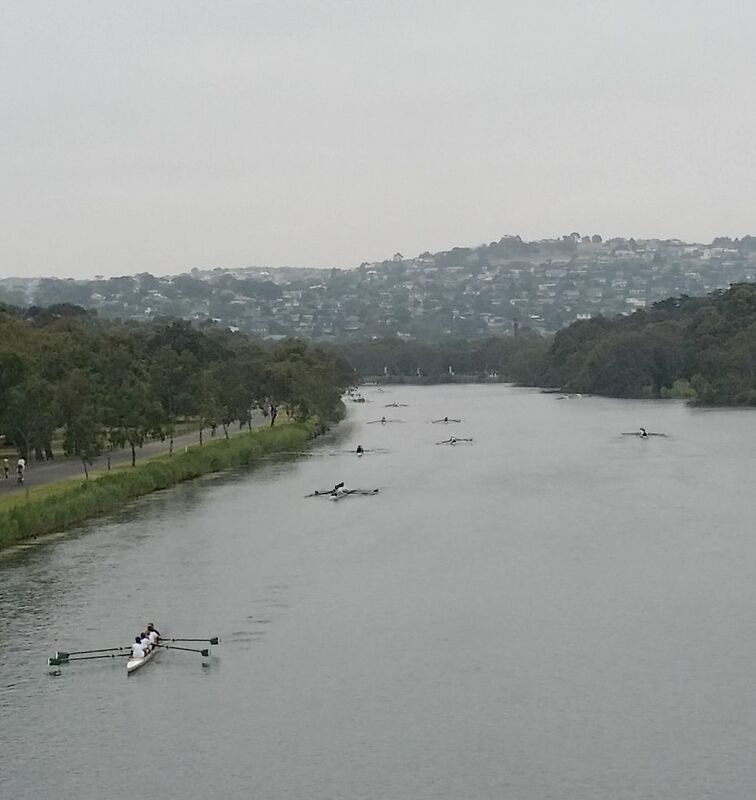 The rowers were undeterred by the rain. Thanks to ride leader Kevin for this report and photo. 20 riders rode the river ride on Saturday. The weather was fine and a good ride was had by all. Kevin led 15 cyclists around the river path, which was busy with the usual pot pourri of cyclists, walkers, rowers and dogs. The wind was strong from the west, but only slowed the cyclists in the open section near the Barwon Valley Adventure Playground. It was good to welcome Nell back into the group after her time away in Europe. Coffee was at Barwon Edge. Thanks to Kevin for leading and Michael who was trusty tail-ender. On a chilly wet Saturday, Kevin and I braved the conditions to complete the cycling Geelong Saturday river circuit. We waited until 9:01, and we lulled into a false sense of security with the tailwind, and little rain towards Breakwater. There was no one at the Breakwater stop, so we carried on around the other side of the river into the driving wind and rain. We stopped under the bridge to get some air into Kevin’s front tyre, and Doug caught up with us. After the rain subsided we headed towards the next stop at Shannon. We considered taking the short hop over the bridge and round for coffee but decided to press on in the elements. The wind was confronting towards Queens Park – (Doug took a moment in the midst of this to check out the frisbee golf) – the weather looked like it was going to be kinder, and we were getting a bit warmer, so we each removed a layer of clothing. There wasn’t too much traffic on the pathway around Fyansford loop and we were staying dry, but it wasn’t to last and we were spurred on with a cold shower towards the cafe. Gavin and Helen joined us for a coffee. Contented with a warm coffee in hand, and good company, we ticked off another circuit completed, even if it was the smallest group to complete the ride this year. The tradition continues. Editor’s comment: Wow! This is way beyond the call of duty. Do you like chocolate? 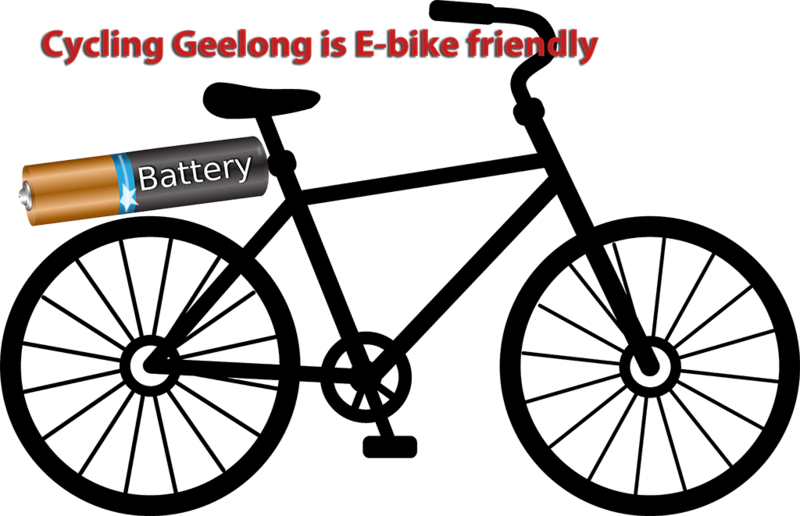 Maybe we’ll see you on the joint ride with GTC to Moorabool Chocolate tomorrow. 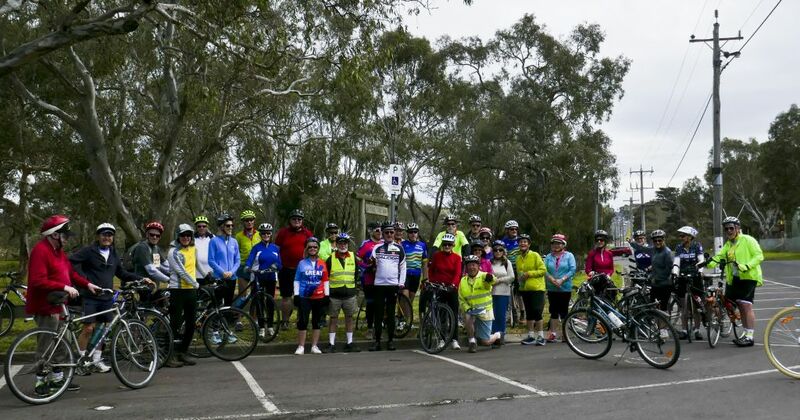 This is a slow meander – starting at Rippleside Park at 8.30am – to Point Henry, then circling to the south and west to arrive at Moorabool Chocolate in Ballarat Road at 11am when they open. Easy 48km. Click the map for more detail.